In spite of the important role of the Shawnee tribe of American Indians in the Colonial period and the early years of the American republic, they have been virtually ignored by the scholarly world. Anthropologists have paid little attention to the Shawnees, despite the tribe’s rich culture and pivotal position among the other tribes in eastern North America. 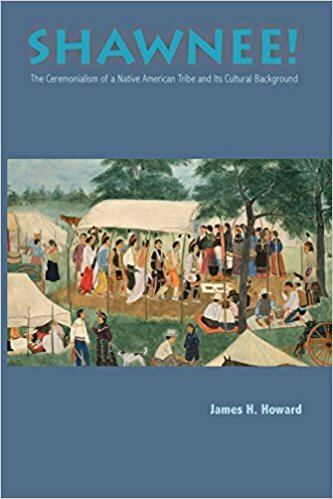 In this first comprehensive account of Shawnee culture, Dr. Howard assembled data concerning the tribe by utilizing published accounts, documents, maps, photographs, and paintings; and by visiting present-day Shawnees and participating in their ceremonies, games and everyday activities. The work is embellished with musical notations of Shawnee songs, maps, heirloom photographs and several photographs taken by the author during his fieldwork. Of particular interest is a remarkable series of paintings of Shawnee life by gifted Shawnee artist, Earnest Spybuck.